Create your own wallet case for the Huawei P9 Lite. The wallet case has three convenient compartments for important cards. Your personal photo or design printed on the front. Do you hate dragging your wallet everywhere, and you’d like to have your own picture on your phone case? 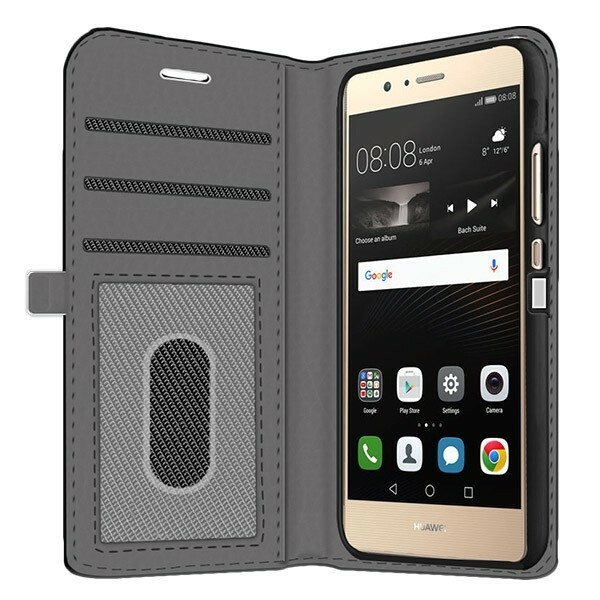 Then the Huawei P9 Lite Wallet Case is perfect for you! The design, which you create, is printed on the front of the phone case, while the back is made of quality leather. There are three compartments so you can keep your most important cards, such as your bank card or ID, always at hand. 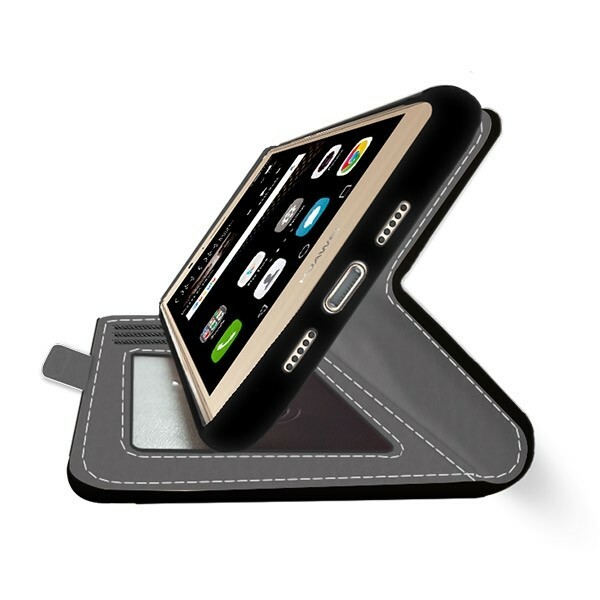 In addition, the cover protects the front, back and side of your phone! The inside of the case is made of felt, a fabric that is perfect on the screen of your phone. How do I make my own Huawei P9 Lite Wallet Case? Designing a personal Wallet Case is very simple. When you right click on the 'start now' button, you go straight into it! 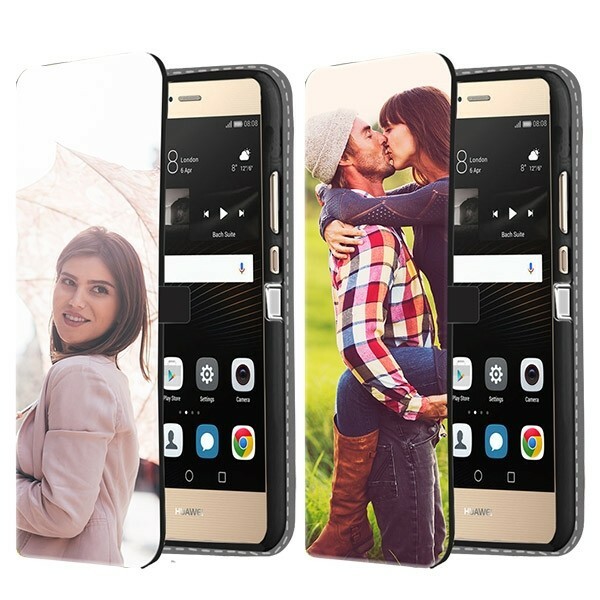 You can upload your favourite Instgram or Facebook picture and use them as part of a design for your Huawei P9 Lite Wallet Case. You can also upload a photo from the hard drive of your computer. Would you like to add text to your design? You can! Select the font and colour you want. At GoCustomized you are the designer! And whatever you choose for your Huawei P9 Lite Wallet Case will be a masterpiece! What happens after I've ordered the case? Are you done with your Huawei P9 Lite Wallet Case design, and you've checked everything and you’ve paid for the order? Then we immediately go to work, so that your order is finished quickly. Normally, order’s arrive in the UK within 5-7 business days. If you choose UPS priority shipping then you have it at home within 2 business days. Do you have questions? Then you can go to the FAQ or customer service!